Barry Brust. And more Barry Brust. If I were the type of person who enjoys puns, I would say that the Pens had a "turkey shoot" on Binghamton Senators goaltender Barry Brust but he "simply refused to let his goal be stuffed." But since that would be lame, I guess screaming his name along with a few expletives would work too. 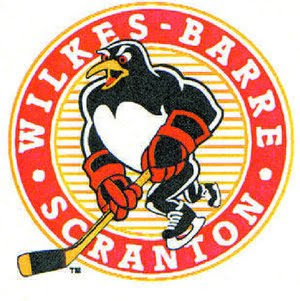 Wilkes-Barre put a blistering 54 shots on Brust yet only managed to score on 2 en route to a 5-2 Thanksgiving Day beatdown in Bingo. Though it seems hard to criticize 54 shots, something just didn't seem right about the Pens tonight. They were shooting like gangbusters all night, but lacked the smooth flow and crisp play that has been prevalent in their 15 wins this season. Also, they did something else they usually don't, and that is tire out. The Pens actually looked decent in the first and had the lead for a while. Pens goals were scored by Tangradi and Sterling in the 1st and 2nd periods respectively. Derek Smith tied it up after the Tangradi goal, and Erik Condra tied it up again in the 2nd. Then the Sens pulled away with goals by Zack Smith, Geoff Kinrade, and Jim O'Brien all in the 3rd period. I say we just forget about this one.